The right decisions come easier when guided by advice you can trust, from a team focused on what matters most to you. After decades of working with business owners and families, we’ve learned that people often have the same concern: Will I have enough? Whether you’re running a business, approaching retirement or securing your family’s legacy, you want to know, how much will we need in order to live comfortably? Will we be ok? What about the next generation? We help you answer these tough questions. With a deep knowledge base, we implement wealth management solutions that meet your current needs and help you reach the financial future you seek – whether you’re facing issues around business planning and exit strategies, retirement planning or transferring wealth to your children. A good team is made of complementary parts. With over 75 years of combined experience in the industry, we balance seasoned wisdom with youthful energy. That’s why families trust us. They know we’re in it for the long term. And they know we take our responsibility to heart. It really is that simple. 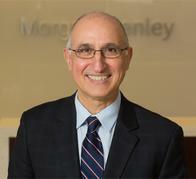 Mike Emmanouilidis is a Family Wealth Advisor, Senior Portfolio Manager, First Vice President, Financial Advisor at Morgan Stanley. 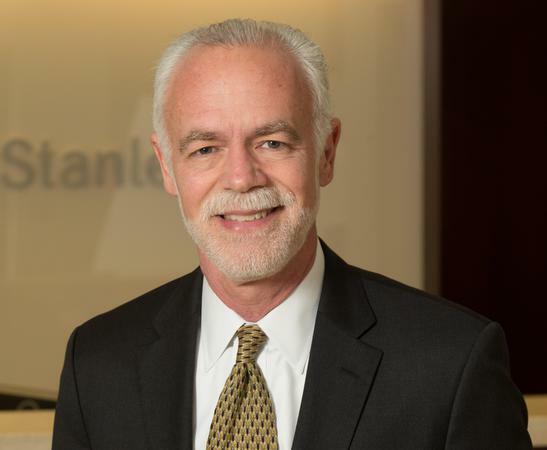 With over 30 years of experience in the financial services industry, Mike provides custom portfolios and wealth management solutions for business owners, executives and families. After graduating from the University of Massachusetts with a Bachelor of Science in business, Mike earned his Master’s degree in Financial Services from the American College in Bryn Mawr, PA. Prior to joining Morgan Stanley over 9 years ago, Mike was a Vice President, Financial Advisor at UBS. As the founder of The Epsilon Group at Morgan Stanley, Mike oversees portfolio construction and management with an emphasis on asset preservation and growth. As a Family Wealth Director, he offers clients a greater level of personal attention by tailoring his strategies to the unique concerns of high net worth families. 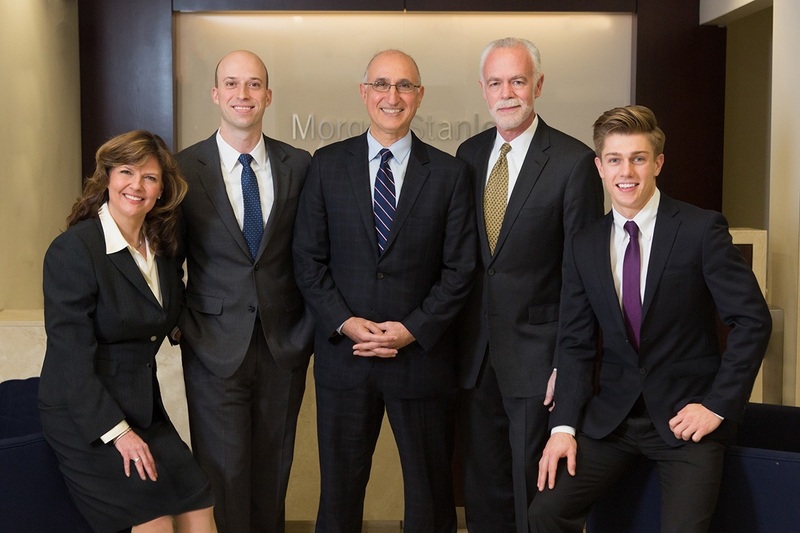 From discovery and analysis to fully understanding his client’s goals, Mike and his team articulate a 360-degree financial plan covering all aspects of their client’s financial life. He has helped countless clients create a long-term wealth management strategy aimed at ensuring a secure future for their families amidst challenging market cycles. Outside of work, Mike serves on the Board of trustees of the Alpha Omega Council, a philanthropic Greek-American organization. He is an accomplished musician, and enjoys reading and writing poetry. He and his wife Susan reside in Brookline, MA. Matthew Reilly is a CERTIFIED FINANCIAL PLANNER™, Family Wealth Advisor, First Vice President, Financial Advisor at Morgan Stanley. With over 35 years of experience in the financial services industry, Matt focuses on financial planning, retirement planning and comprehensive wealth management for business owners, executives and families. A graduate of Boston College with a Bachelor’s degree in English, Matt has been an advisor since 1981. Prior to joining the firm in 2017, he worked at UBS, Smith Barney and was charged with managing income portfolios at Shawmut National Bank. Clients have relied on Matt through two major recessions and numerous market corrections because he believes wealth management is more than investments alone – it is comprehensive and includes financial planning, relationship management and investment counseling. Matt helps clients manage finances and risks so that they are free to concentrate on their passions, family and goals. He does this by creating a customized financial plan – a virtual road map that he monitors and adjusts as needed to keep his clients on track. From a relationship management perspective, Matt believes in collaborating with his clients and their families, as well with their trusted advisors that include attorneys and CPAs. Matt works to build and protect client net worth carefully, emphasizing diversification and risk mitigation. His guiding principle is that clients should worry less about money now and enjoy it more in the future. In his free time, Matt enjoys traveling, fishing and hockey. He lives in Needham, MA with his wife Christine. Yianni Emmanouilidis is a CERTIFIED FINANCIAL PLANNER™, Portfolio Manager, Financial Advisor at Morgan Stanley. With over 10 years of experience in the financial services industry, Yianni provides financial planning and portfolio management for business owners, executives and families. 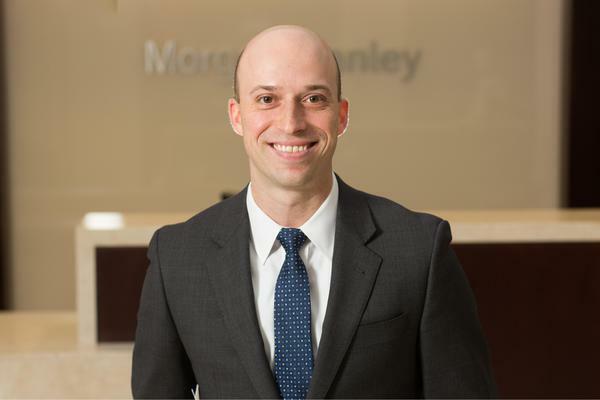 A graduate of Bentley University with a Bachelor’s of science in Finance, Yianni started his career at US Bank before joining Morgan Stanley in 2010. 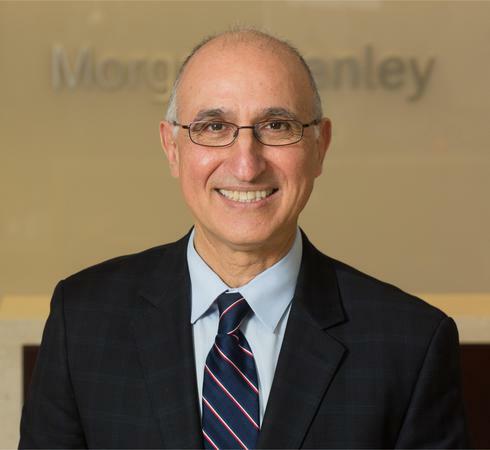 As a partner in The Epsilon Group at Morgan Stanley, Yianni works alongside his father who’s been in the business for over 30 years. Yianni’s passion lies in getting to know his client’s immediate needs and long term goals, then creating a financial strategy aimed at minimizing risk while helping them weather evolving market conditions. As a Portfolio Manager, Yianni helps manage his clients’ investment portfolios with a focus on growth and asset preservation. He takes great satisfaction in demonstrating how a client’s small steps today can help them positively shape their financial future. In his free time, Yianni enjoys traveling, golfing, running, and spending time with his wife and their son. He lives in Needham, MA. Beth Olney is a Registered Client Service Associate at Morgan Stanley. With over 20 years of experience in the financial services industry, she is responsible for managing all aspects of the administrative, operational, account maintenance and research needs for clients. Beth graduated from the University of Vermont with a bachelors degree in Political Science and a minor in Economics. She began her career at Paine Webber where she was as an assistant to financial advisors. Eventually she transitioned to Fidelity Investments as an Associate Financial Advisor and Relationship Officer. There she learned all aspects of brokerage services and trading as well as client relationship management. 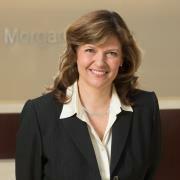 She joined Morgan Stanley in 2012. As an integral part of The Epsilon Group at Morgan Stanley, Beth ensures her clients' requests are met promptly and efficiently. She runs all elements of account administration including daily review of cash coming into and going out of client accounts as well as preparing paperwork, assembling investment reviews, and resolving administrative problems. A nascent birdwatcher and amateur archeologist, Beth enjoys reading, walks with her dog, spending time with her family and raising her two boys. Forrest Scaringe is a Client Service Associate at Morgan Stanley. He focuses on maintaining effective client relationships for the team. A graduate of Bentley University, Forrest has a bachelors in Corporate Finance & Accounting with a Minor in Legal Studies. During his time at Bentley, he played 4 years of Varsity Soccer and was elected captain by his teammates during his senior year. 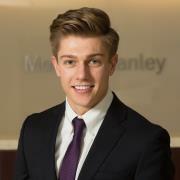 After an internship at the Westborough Morgan Stanley office, Forrest joined The Epsilon Group at Morgan Stanley in 2017 and quickly became an integral member of the team. He applies the principles of respect, diligence, and commitment to everything he does. Forrests main focus is ensuring that all clients, current and prospective, receive the level of professional personal service that has become a hallmark of The Epsilon Group. Outside of work, Forrest enjoys being a coach for the SFC New England Premier Soccer Club, working out and reading.